The leading cryptocurrency fell to $6,119 on Bitfinex on Saturday – the lowest level since Aug. 14 – bolstering the bearish setup established by a sudden $1,000 drop witnessed during a 24-hour period in the middle of the last week. However, the drop to 3.5-week lows also pushed the intraday relative strength index (RSI) into oversold territory below 30.00. As a result, the sell-off has stalled in the last 36 hours, although corrective rallies have been shallow. Notably, the cryptocurrency’s failure to scale $6,400 in a convincing manner despite signs of bullish reversal on intraday charts indicates that bearish sentiment is still quite strong. Hence, the next big move is more likely to be on the downside. At press time, BTC is changing hands at $6,290, representing a 0.6 percent rise in a 24-hour basis. The rising wedge breakdown and the downward sloping 5-day and 10-day moving averages (MAs), as seen in the chart above, indicate the path of least resistance is to the downside. The RSI of 39.14 is also biased toward the bears. As can be seen, BTC suffered a pennant breakdown on the daily line chart on Saturday, signaling a revival of the long-term bear market. Hence, prices could re-test the June lows below $5,800 in the next few days. The bullish divergence of the RSI has set the stage for a stronger corrective rally, however, it is likely to happen only above the trendline hurdle, currently located at $6,420. 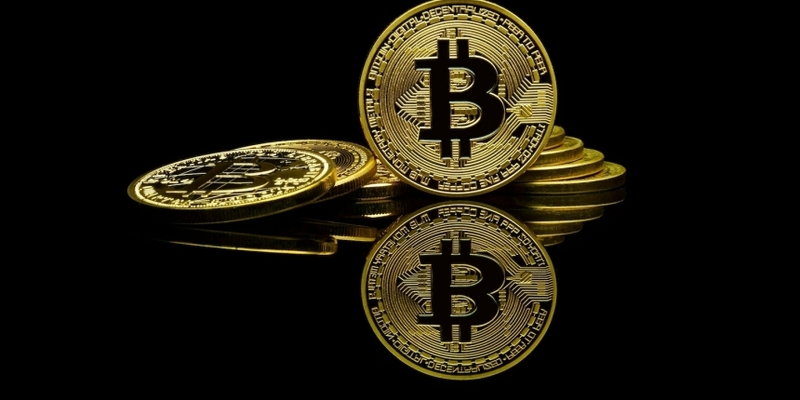 BTC risks falling to $6,000 (February low) and could suffer deeper losses in the near-term. A stronger corrective rally toward 10-day MA of $6,746 cannot be ruled out if the cryptocurrency convincingly scales the immediate hurdle at $6,420, but the gains will likely be short-lived as the short-term MAs are trending south.